Quick and easy Japanese noodle recipe! Oroshi Soba is a refreshing chilled noodle dish served in a savory sauce and topped with grated daikon. 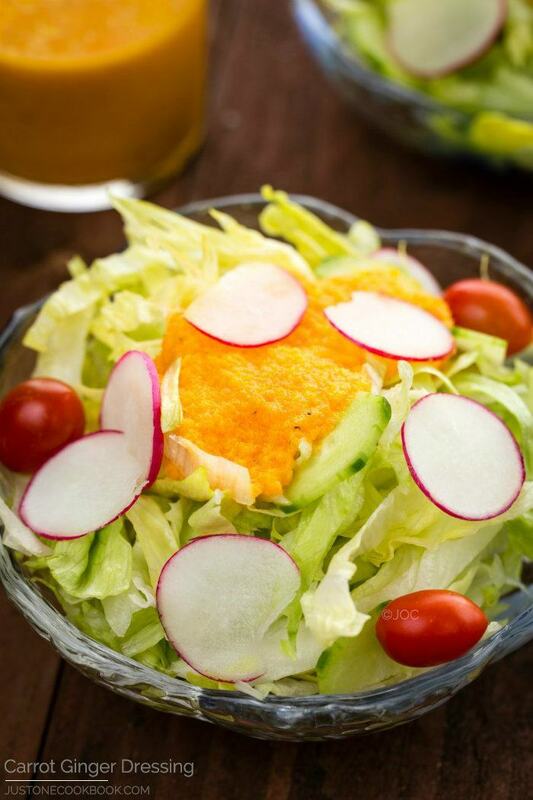 Everyone needs a quick meal that is fresh, nutritious, and delicious. Oroshi Soba (おろし蕎麦) meets exactly the criteria when I need to cook up a healthy meal fast for the family. 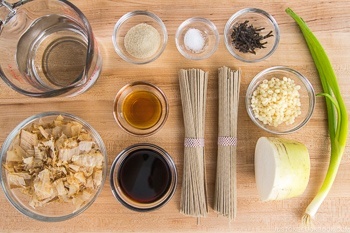 It uses basic Japanese ingredients like dried soba noodles, dried bonito flakes, scallion, and daikon radish. 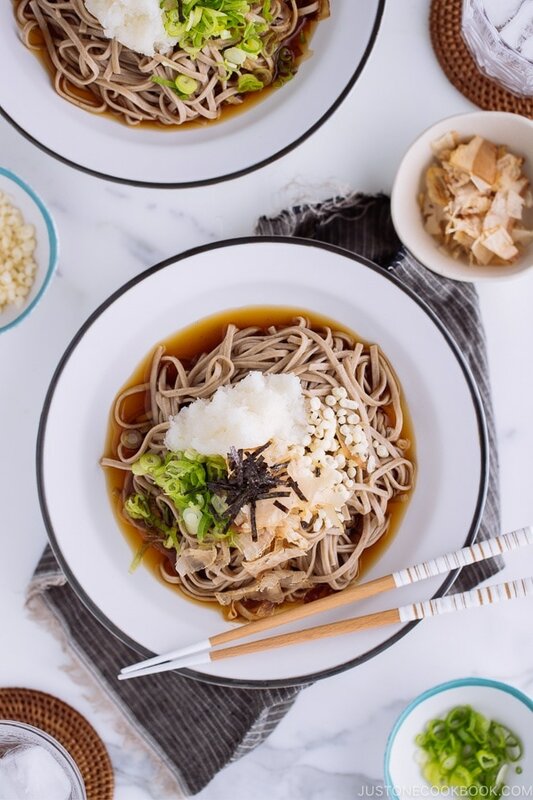 When you’re in a hurry, but still want something simple yet satisfying, Oroshi Soba is a recipe you can call on. 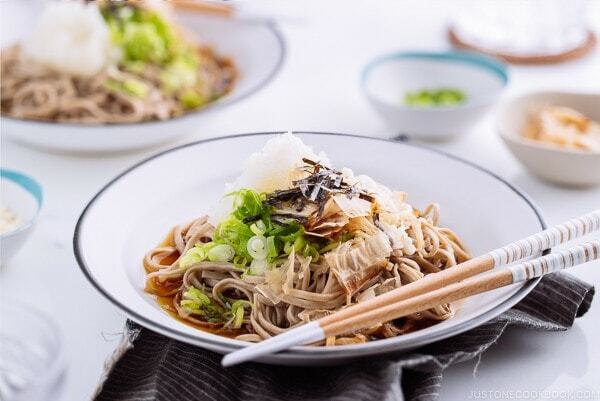 Many of you probably already know “soba” is a Japanese name for buckwheat noodles. If you’re not sure what is soba or what’s the difference between soba and udon noodles, you can read more here. Once in a while I get a question about my favorite brand of soba. To be honest, I didn’t particularly have one since soba brands are pretty limited here in the U.S. (or outside of Japan in general). However, I was recently introduced to Shinshu Inaka Soba – Komoro Shichibei (信州田舎そば 小諸七兵衛) by Hoshino Bussan (星野物産). The noodles are a little bit wavy with a nice earthy flavor, and they have the absorbency to soak up the dipping sauce very well. 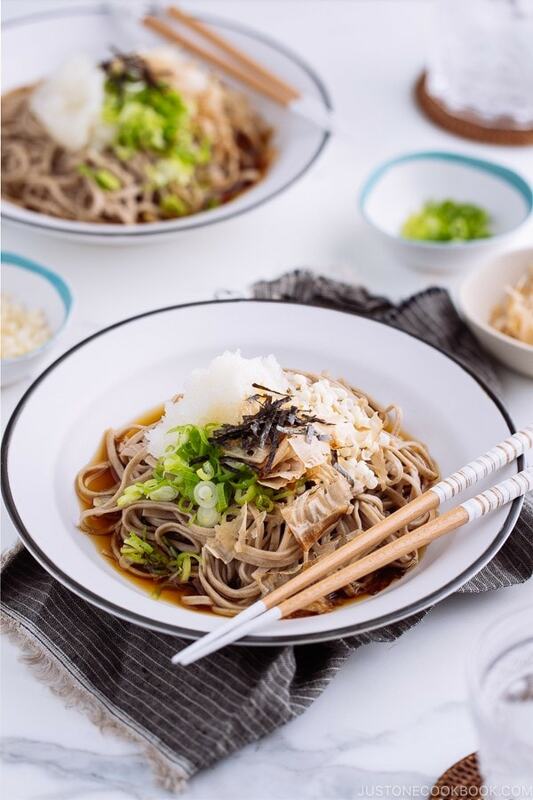 Unlike some soba noodles that tend to develop a mushy, starchy exterior, Shinshu Inaka Soba has a remarkable good bite that stands out immediately. Luckily my local Japanese grocery store Nijiya Market started carrying this brand. 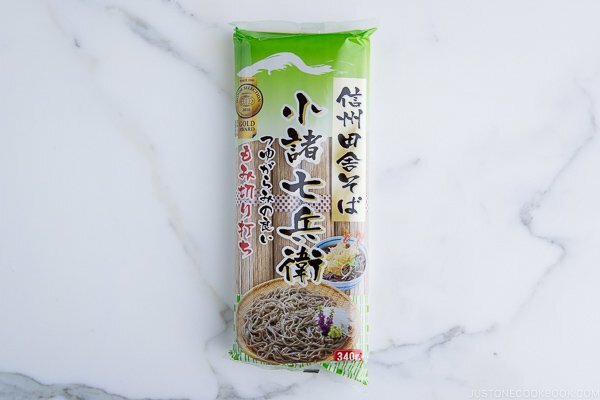 If you spot this soba noodle at your local Japanese grocery store next time, grab one and give it a try. Now, “oroshi” means daikon oroshi (大根おろし), which is grated daikon in Japanese. 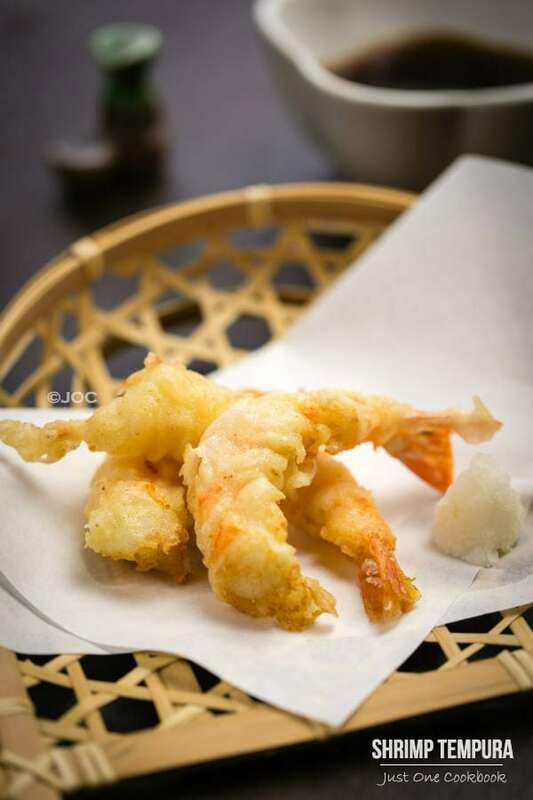 We use grated daikon in many dishes including Saikoro Steak, Shrimp Tempura and Vegetable Tempura, Agedashi Tofu, Tamagoyaki, and Wafu Hambagu. 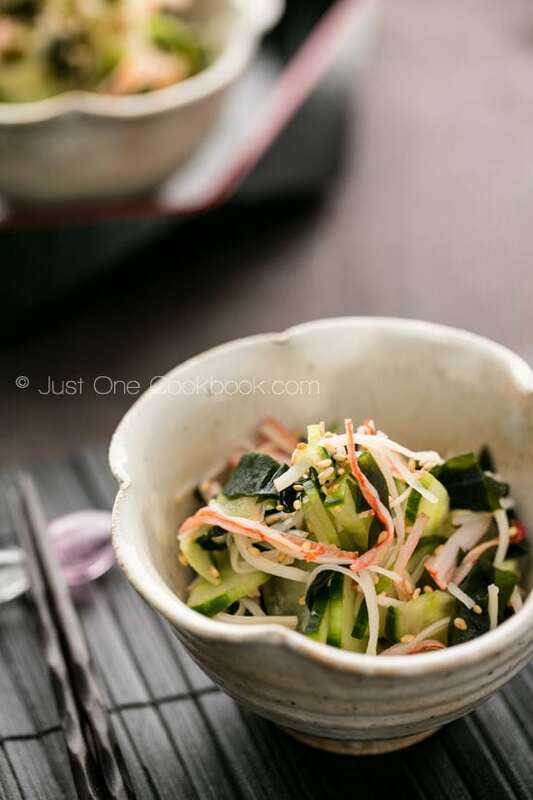 Grated daikon gives a refreshing texture as well as a bit of spicy kick to the dish. For this recipe, I used Katsuo Dashi – dashi made simply with dried bonito flakes. The intensity of katsuo dashi and the additional bonito flakes topping give lots of umami to this simple noodle dish. 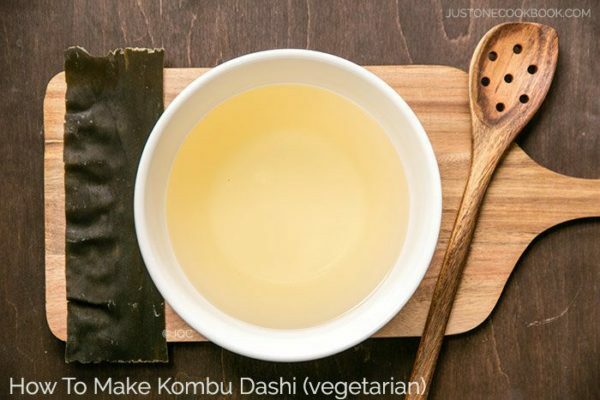 If you’re vegetarian or vegan, feel free to omit katsuobushi topping, and swap the Katsuo Dashi with Kombu Dashi. 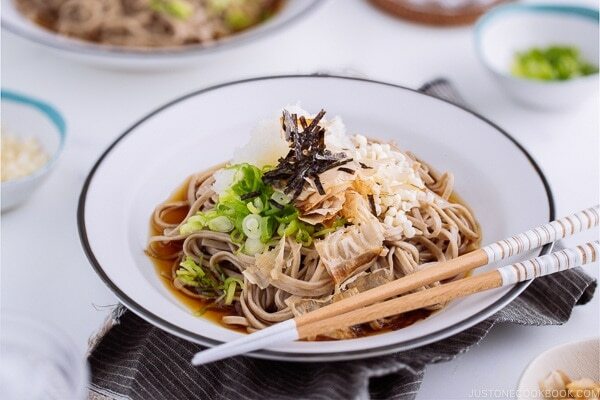 While I was researching online about typical Oroshi Soba in Japan, I learned that it is actually a regional dish in Fukui prefecture, located on the Japan Sea coast in the Chubu region of central Japan. 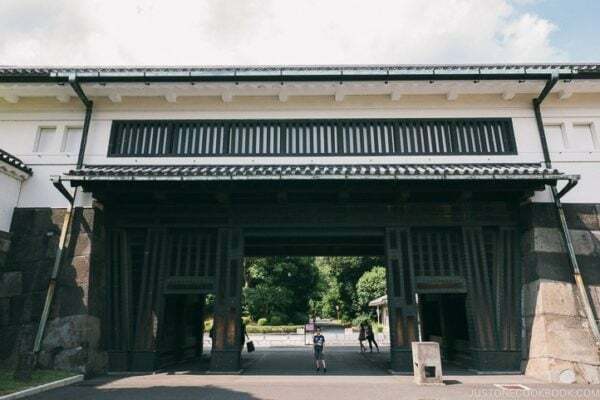 I have never been to Fukui prefecture before, but Fukui prefecture which used to be called “Echizen” has the prefectural “representative food” called Echizen Oroshi Soba (越前おろしそば). For Echizen Oroshi Soba, the soba noodles are handmade using local buckwheat, and the grated daikon is added to the dashi-based soup (In my recipe, I placed the grated daikon on top of noodles). Before you eat, you would pour the chilled dashi soup containing grated daikon over the soba noodles. The toppings are simple and similar to my recipe – katsuobushi and chopped scallion. What they focus on is the quality of soba noodles, the refreshing yet spicy daikon, and freshly shaved quality bonito flakes. It is a minimalist dish that allows each ingredient to shine. In a medium saucepan, add water and bring it to near boiling point. Add the katsuobushi (dried bonito flakes) and let it simmer for 15 seconds, and then turn off the heat. Set aside and let the katsuobushi steep for 15 minutes. 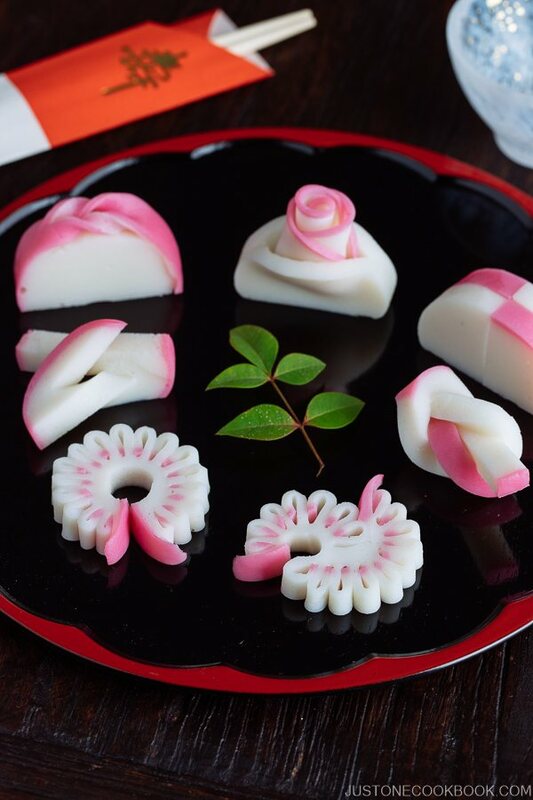 Meanwhile, peel daikon skin and grate. Set aside. Cut the green onion into fine rounds. After 15 minutes of steeping, strain the katsuo dashi into a measuring cup. You should have 1 ¼ cup. If you don’t have it enough, add water. Add mirin, sugar, and soy sauce. Bring it to boil on medium heat and turn off the heat. Mix well and taste it. If necessary, season with kosher salt. 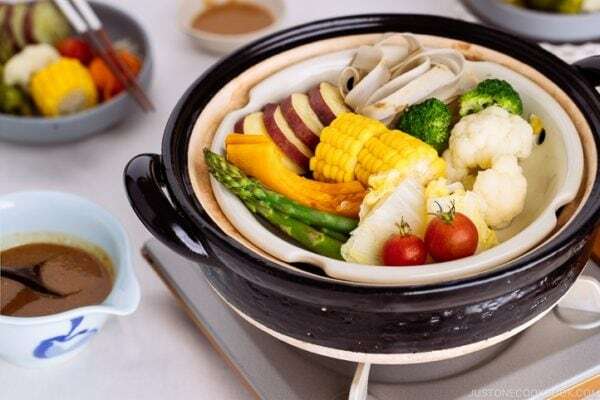 Place the pot in iced water to cool the sauce down before transferring to the refrigerator (if you are planning to serve later on). Bring a large pot of water to a boil. Do not use small pot when cooking noodles. For cooking soba noodles, we do not salt the water. Also, remove the paper bands on bundles of soba noodles first. To cook all the soba equally, it’s best to prepare and have it ready to go. Once the water is boiling, add the soba and quickly stir so the noodles don’t stick to each other. Cook the soba noodles according to the package instructions. Keep the water boiling on medium to medium-high heat. Drain the soba noodles (you can reserve the soba water “Sobayu” for drinking). Rinse the soba noodles well under cold water to remove the starch. Serve the noodles in individual dishes, and divide the sauce. Now get ready for the toppings. 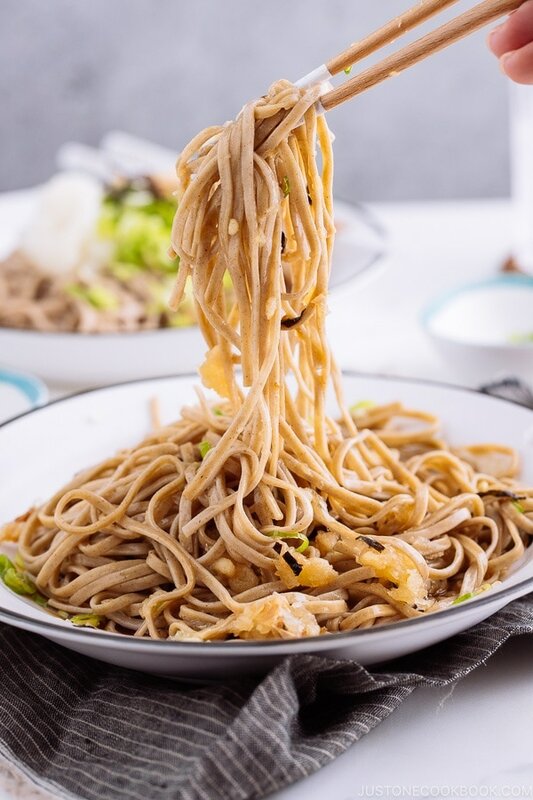 Gently squeeze the grated daikon and place on top of the noodles (Don’t squeeze too hard and save some moisture so it’s more refreshing, but too much liquid will dilute the sauce). Place katsuobushi, tenkasu, green onion, and shredded nori. Serve immediately. Soba noodles are my new favorite thing. Gonna try this recipe. – can we make the sauce in advance & store in fridge like your teriyaki / ponzu sauce recipe and use for another day? 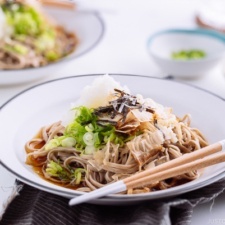 – could we swap the soba with other Japanese style noodles like somen? Hi Pat! Thank you for checking this recipe! 1) Yes, you can make the sauce ahead, and good for 3 days in the fridge. No worries at all! Happy to answer your questions anytime! Hi Nita! Good to know there are Japanese restaurants in Paris. Hope you enjoy the recipe! This Website is absolutely amazing, I love your style of explaining, the instructions are always very clear. Congratulation, you’re doing a stunning work. Hi Patafikss! Thank you for your kind words and I’m really happy to hear you enjoy the site. We always want to be helpful so let us know if there is any question or things we can improve on. Happy cooking! im going to make this tonight, but I didn’t bring mirin with me to the dorm, should I skip it? Hi Judy! If you skip, you will need to add sugar as mirin was supposed to sweeten the soup stock.